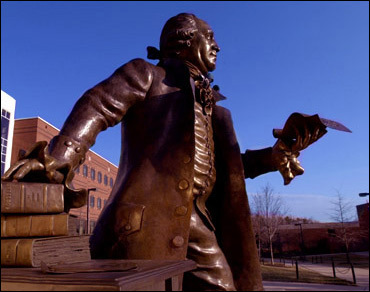 Are you a George Mason student organization? Well if so, then we’re here to help! WGMU is looking to partner with on-campus student organizations and non-profits. Because WGMU is “all about Mason,” we’re trying to reach out more to the community. We offer free Public Service Announcements to on-campus organizations that are holding events to help boost their publicity, along with the ability for WGMU Radio to become a partner with your event or organization. The benefits of partnering with us include a wide array of possibilities from doing a live on-site broadcast, having one of our experienced broadcasters MC your event, utilizing our skillful staff help organize your event, provide music for it and etc. Welcome to WGMU new website and to a new year with the one and only college radio station of George Mason University. We have A LOT of new stuff going on this year. Our new Local Music Director, Aisha Hussain is interviewing countless numbers of new and hot artists in the local DC area, our Music Director is working on incorporating the best of today’s music into our rotation and our promotional department has been revamped to get to the Mason community. BIG NEWS: WGMU has acquired the contract to broadcast GMU’s NCAA Division I Men’s Basketball team! The station will be broadcasting every Men’s Basketball Game, along with all of the Women’s home games. We’re very excited! Stay tuned. WGMU Radio is a division of the Office of Student Media and University Life of George Mason university.